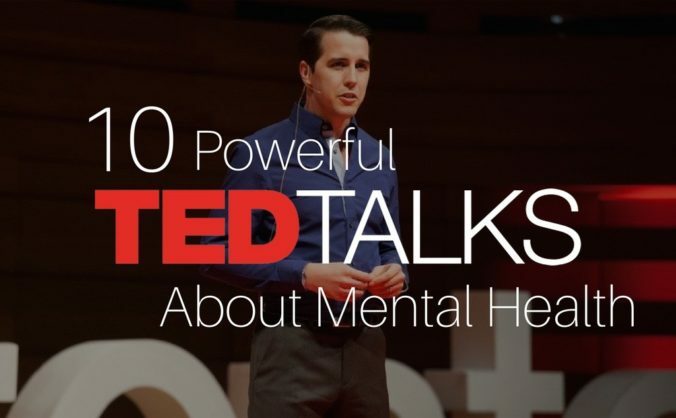 There are some truly inspiring TED Talks on the subject of Mental Health Issues out there – we’ve compiled a list for you here of some of the ones we find most inspirational (in no particular order). Please feel free to bookmark this page, take your time going through them and share them with friends! Education and awareness about the complexity of Mental Health Issues as well as knowledge of the breakthroughs in modern brain research are crucial for ending the stigma. Better care for those struggling with mental illness and substance use issues will only improve with a greater understanding of the subject. Listen and watch as Mark Henick broadens our perceptions on the subject of suicide. His TEDxTalk helps us to understand not only the point of someone who has made the decision to die by suicide, but also how we must re-frame our conversations around the subject in order to make change in the world. Matè explores the power that addiction wields in his TED talk. In discussing the lengths of addiction— from drugs to power— from the lack of love to the desire to escape oneself, from susceptibility of the being to interior power, it’s clear that nothing escapes. Maté is a specialist in terminal illnesses, chemical dependents, and HIV positive patients. Dr. Maté is a renowned author of books and columnist known for his knowledge about attention deficit disorder, stress, chronic illness and parental relations. Modern psychiatric drugs treat the chemistry of the whole brain, but neurobiologist David Anderson has a more nuanced view of how the brain functions. He shares new research that could lead to targeted psychiatric medications — that work better and avoid side effects. How’s he doing it? For a start, by making a bunch of fruit flies angry. Eli’s Place Residential Treatment Centre will offer a range of recovery-based programs for adults 19 – 35 years of age who have serious mental illness, and who may also be struggling though issues of substance abuse. The first of its kind in Canada, Eli’s Place will provide treatment within a therapeutic rural environment. There, participants will develop the skills to recover from illness, as they gain valuable life and work skills to help ensure a successful transition back to the community. As part of its multi-phase approach, Eli’s Place will also provide ongoing in-community support as needed. Please help us build the first Long Term Residential Recovery-Based Treatment Centre for Youth in Canada by donating today! Will You Join us in Building Eli’s Place?